*giggles* I have a post on this coming up! Seriously, you read my mind again! 😀 btw, slight delay in postage – sorry! HI,I am glad that you like OCM & seen good results :)Btw I will change to jojoba or grapeseed oil, coz is much more cheaper then AN. May I chk with you do u just use jojoba oil or mix together with grapeseend oil? Florence: No, I don’t mix. I use either of them at one time. I have read about using oil to dissolve blackheads, are there any oil-based cleansers that act as normal cleanser, without needing to use the washcloth? Sel: Those from the Japanese brands like DHC, Fancl and Shiseido are oil-based cleansers which you can use. But without the washcloth, you need to double cleanse with something that is foaming to get rid of the oil. Actually the oil deep cleans your skin pretty well and you should not need a wash cloth for products like DHC. I would not recommend a “foaming” cleanser after using an oil cleanser. It will strip your skin and is not necessary. The foam is created through the use of chemicals and does not actually clean the skin- but is designed to feel like it is! 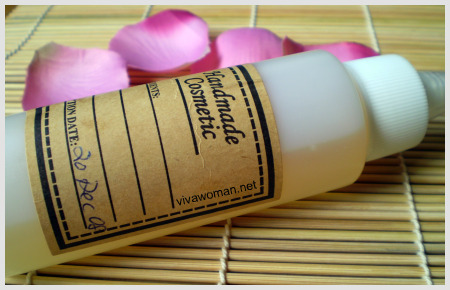 I had tried OCM using jojoba oil and the Oil Revitalising Cleanser from Yours Essentially. I personally prefer the Oil Revitalising Cleanser. You are right, it is rather drying using OCM, I believe it should not be done more than 2 times a week from what I had read. Will definitely stick to OCM for a while! Shin: You mean the commercial brands? Perhaps you’re sensitive to some of the ingredients. Have you tried using pure natural oil? I’ve been using Dermalogica’s Precleanser as a make up cleanser, followed by my regular facial wash. It’s made up of several different oils; grapeseed oil, safflower oil, kernel oil, sunflower oil, rice bran oil, orange oil, borage seed oil and lavender oil. I don’t use it everyday and instead just 3-4 times a week. And a small bottle goes a long way as you only need a few drops each time. Morningdew: Sounds very interesting! I’ve never tried any of Dermalogica’s products so didn’t know they have something like that. The ingredients are very beneficial for cleansing! From what I know, all those commercial brand cleansing oil contains mineral oil, that’s why some ppl will cause breakouts. Florence: Yeah, you’re right. A couple of them do but a few don’t. So it depends on choosing the right ones. I used one with mineral oil sometime back and though it didn’t break me up, but it felt kind of heavier compared to the natural oil. elleve: I have reservations towards those facial wipes as well. And if using the OCM, the wipes probably can’t withstand the water right? I can’t think of a perfect solution that can help with our concerns…as yet. I was doing reading up about the fancl cleansing oil! it contains jojoba oil as well but what i’m afraid of its that it might be drying because my nose seems to be flaking a little! Should I still try it? really wanna get rid of blackheads..
Sharon: Why is your nose flaking? Did you use anything on it? My nose used to flake a lot when I squeezed it too hard for the blackheads. Most sites recommend EVOO. It works as a great moisturizer but is heavy so it can clog pores. Plus, EVOO has TONS of vitamin e. Great for dry skin! I use it often & have never had problems with clogged pores as a result. I even use it on my body after my bath. Either that, or sweet almond oil. EVOO is also a mild natural sunscreen which supposedly can filter approximately 25% of the sun’s harmful UV rays when used on skin. I’ve used and am still using cleansing oil from brands like Shu Um and Fancl. They rinse clean so it’s not necessary to double cleanse. Doing that is actually too drying to the skin. Surprising as it may seem, some breakouts are caused by skin being either too dry, or too agitated. Hi there, thanks for sharing with us your experience and advices. I’m so very tempted to try this OCM. Will be ordering one bottle from the site very soon. BUT I don’t use toner and moisturizer after I cleanse my face with facial foam. Do you think that matters? Anyway, do you mind me asking you something irreverent to OCM? May I know for local postage charges, how much were you charged the previous round that you bought the 1oz jojoba seed oil? Gina: If your skin is quite oily, three times maybe okay. Not using toner and moisturizer is fine but in that case, don’t wash till your skin feels dry. You can also warm two drops of the oil on your palm and rub into your face afterwards. I remember postage was always less than $1.50 per order. It depends on your quantity but I remember it was never very expensive. Anyway, you’ll know the shipping cost once you add your items before paying. You don’t mix them? I usually apply equal amounts of jojoba and grapeseed oil when I use the OCM. Love to use grapeseed oil as a moisturiser. Feels so light. Ms Blacklace: No never tried. Maybe I should but I like to assess them separately first. I love grapeseed oil too! Very light and lovely! Oil cleaning is my absolute HG products, have been using for over 2 years for daily cleaning. I tried DHC and Laventine, both are very good, Laventine is more cheaper though. Been using the oil cleansing method a few nights already. I love the fact that for the first time i might feel that this would be the best solution to my very tough blackheads. But I am begining to pop 3 pimpls around my nose and lip area.. hmm maybe i should stop for awhile? Valerie: Yeah, I think you should stop first. What oil did you use? Sometimes it could be the oil being too rich, sometimes it could be the impurities on your face are being purged out. 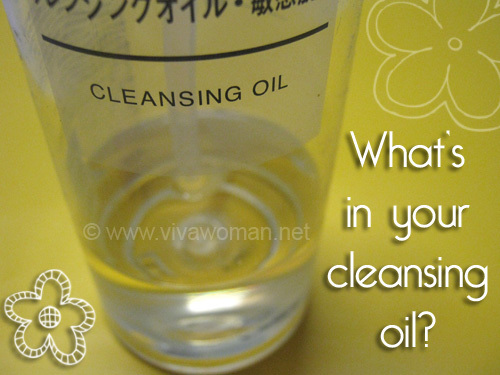 Anyway, oil cleansing should be kept to about 2 – 3 times a week at most based on reader’s comments and my experience. I have oily t zone hence with the problem of blackhead. WHen using the OCM, do you wash your face and tone itagain after you wipe off the oil to make sure there is no oil residue that will clog your pores or its just suffice to stop at where you wipe off the oil with hot towel? troubledGal: My face feels quite clean and oil free after the cleansing but I tone afterwards out of habit and preference. You can actually stop after the cleansing process and moisturize with a bit of the oil or your normal moisturizer. thanks for the speedy reply 🙂 I ve just received my order and tried it on just on. Sorry I have just another question : I plan to use it at night everyday and my intention is to replace the use of commercial facial products and also clearing out of my big pores, blackheads and oily tzone(but apparently some website doesnt suggest using it everynight.If I use it only at night, I reckon I would still need to use normal facial cleanser to clean my face in the morning? troubledGal: When you mean everyday, I guess you’re referring to OCM? Hmm…I won’t recommend you do it everyday. You might want to try out alternate days and see how. The recommendation is 2 days a week although 3 has worked for me. Reason is because over steaming the face may bring about dry skin and broken capillaries. Once a day is the maximum too. For morning, you can still use your normal cleanser. Fabulous article! Thank you everyone for sharing the your experiences and how to use the oil cleansing method (OCM). I’ve have tried DHC’s cleansing oil with good results, and have been tempted to try Shu Uemura’s Cleansing Oil or Laura Mercier’s and think it is so much smarter and cheaper to create your own! MB: I guess it’s convenient to use the commercial cleansing oil. But if possible, natural oils are much better because you’re getting the 100% natural stuff. Hi, I was wondering, since I am always in a rush for time except on weekends. I was wondering if I could just do this in the bath… to wash my face in warm water and then to gently rub my face with the oil and then to wash off with warm and then cold water? ^^ cause unless I find the time to steam my face I always usually just do this.. sometimes I just use cold water.. since my bathroom sink has no warm water only the shower..
Oh and when you rub the oil on your face.. I wonder if this is alright. cause sometimes I do put in a bit more pressure to rub out the whiteheads that I can feel on my nose. wonder if that is bad. Valerie: Gently massaging your face with the oil is fine. No problem as long as you’re not scrubbing it. 🙂 In fact, you need to work on those problem areas a little longer. If you’re using natural oil, warm water itself won’t wash the oil off. You need to use another cleanser. 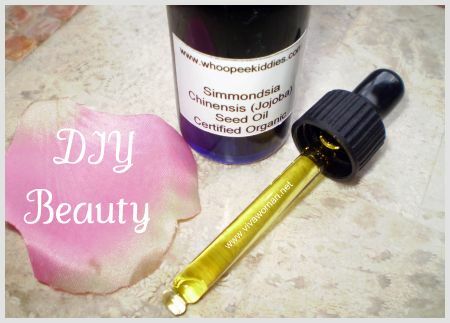 Alternatively, you can try using those emulsifying commercial oils like from fancl or dhc. According to some of the readers who have used them, you can take it off just with warm water. Jacque: Yes, it’s fine! I do that sometimes too. Use it like a makeup remover…only thing is it does not emulsify like the commercial oil cleanser but it works as well. I had tried Muji cleansing oil for sensitve skin & its pretty good at removing makeup but not black/whiteheads. I was reading on this website on OCM (http://www.theoilcleansingmethod.com/)that you need castor oil as the primary oil and then add another oil of your preference to it. It says that ‘Castor Oil has potent anti-inflammatory properties, but is also healing and cleansing, which is why we’re focusing on this oil as our primary oil’. Castor oil is supposed to have more drawing properties, hence more drying. Hence, they suggest higher proportion of castor oil if one has oily face, and less if dry skin. The other oil mostly recommended would be jojoba and grapeseed. I am a little confuse here. Do I have to definitely use castor oil as a primary oil or I can do just jojoba and grapeseed. Would mixing castor with another oil be more effective then if use jojoba or grapeseed alone on its own? Any gals got comments? Domestic Goddess: I’ll ask Leon who is quite an expert in this area to find out. Maybe she’ll comment later. I don’t use castor oil at all. I just use grapeseed or jojoba oil by itself. Hi Domestic Goddess, let me clear ur confusion. Castor oil is a very good oil for oil cleansing method but it doesn’t mean that you have to use castor oil as a primary oil. Grapeseed and Jojoba oil also have anti-inflammatory properties and do equally good job. I use castor oil for OCM but Iâ€™ve had better result with Evening Primrose and Olive Oil. Everyoneâ€™s skin is unique so I donâ€™t think that one oil can be good for all, even the right proportion matters when it comes to oil cleansing method. Keep experimenting until you find ur perfect oil and proportion. Castor oil is just a good option. Wow, thanks for the kind words Sesame:) Glad I could help you. Hi Leon, thanks for the clarification. I totally agree with you that we need to explore before hitting the best combination. Just another question – how do you use your oil in your OCM? Do you mix Evening Primrose and Olive together into a mixture and use that or do you use the oils separately one after the other? I am currently using Kose’s cleansing oil for makeup removal but realised that it’s main ingredient is mineral oil. I read that it is not good, any comments? Anyway, I am striving to go natural in the new year, so OCM is a definite try for me when I am done with Kose’s oil. Hmmm… I first came across this OCM method quite some time ago. I should’ve bought the oils and tried it then. I’ve got super sensitive skin with eczema and combination skin: oily, normal and sometimes dry. Everything I’ve tried either failed to clean my skin or caused lots of problems instead. 60% castor oil, 20% grapeseed oil and 20% jojoba oil. And a few drops of tea tree oil to mix. I don’t think I’ll try olive oil(especially EVOO) because it is much heavier on the skin and can cause severe breakouts especially for sensitive conditions like eczema, rosacea, etc. Also, I wonder why few use sunflower seed oil though it’s recommended on the OCM site. I noticed many replaced some or all of the oils with products chocked full of harsh chemicals or they used lower-grade oils likely distilled/cut with alcohol or other chemicals. And that some used way too much castor oil. 20% is rather drying for many, so 50% castor + 50% EVOO would likely destroy their face. So I guess skin patch testing is a must before trying new oils or new blends. Sorry if I’m off anywhere as I’m still new to essential oils. Dee: You’ve done quite a bit of research there! You could be right that the products the gals are using aren’t right. Another thing I just realized after talking to someone who is pretty well versed in skincare is that it may not be good to use this on unclean skin cos we could be massaging the impurities back. Maybe some skin types don’t take this technique too well. 20% to 30% castor and a mixture of other oils. Yeah, the unclean skin sounds like a huge factor. Furthermore, this is my personal take but if your body is laden full of toxins and the like, methods like OCM might not help or even make things worse. Dee: You’re right! If the internal system isn’t well, external aids are not going to help very much. Regarding the aversion to wash cloths: I’ve read about and have now bought bamboo washcloths. Bamboo is naturally resistant to bacteria so using and reusing them for the OCM seems possible without worrying about bacteria on the cloth messing with your cleansing. I bought 100% bamboo facial cloths at PCC, a grocery co-op in and around Seattle; you should be able to find them at other health food stores and shops. Sometimes they’re a combo of cotton and bamboo. I use them and hang them to dry and use them the next time. In addition to the awareness of what material I use to wipe the oil off, I’ve paid attention to what kinds of oil I’m using. I use cold-pressed castor oil (about 40%) and jojoba oil (about 60%). As most other comments state, you have to experiment. I’ve only been doing the OCM for about three weeks and the results are promising. I’ve broken out but it really feels like my skin is purging all the junk that I and the environment have put on it. The pimples I’ve gotten are different from my usual breakouts; they disappear faster and are not the painful cystic kind I’ve had in the past. If I can suggest one thing, it’s not using much else besides your oil formula. I’ve eliminated all other moisturizers and toners. I moisturize with a drop of jojoba oil after OCing. I do the OCM at night and wash my face with a natural oil combo/oatmeal soap bar in the morning then moisturize with a drop of jojoba oil. I’ve become interested in using less and using only natural/pure things on my face and in my body. I also visit http://www.cosmeticsdatabase.com/ and use their database to check out the contents of everyday products. It is SCARY how much stuff in ordinary beauty products may harm our bodies in the long run. Oils and essential oils (in small doses) are pretty innocuous. Whew! That was long. Anyway, I justed wanted to share my experience with the OCM and throw out some suggestions for others who want to try something new for acne and also might be tired of using products with questionable ingredients. Kaye: Thanks for shairing your experience on OCM. That was really useful! I’ve been looking at a washcloth made from bamboo or charcoal I can’t remember. Now that you’ve mentioned it, I should go check it out again. I don’t use OCM very often due to the washcloth issue now. I’ve thrown away the old one and haven’t found a replacement. Yes, I agree that natural is best. I have seen some improvements in my skin condition since switching to natural skincare and am very pleased with the results! I bought an oil cleanser from a organic store and I liked it a lot. Then I read on an OCM website to use 30% cold pressed castor (i have super oily skin) and 70% olive oil, with hot towel method and decided to give it a try. Sammie: Oh dear that’s awful. It looks like castor oil is not suitable for all skin typle. Perhaps olive oil alone can do the trick better? But I think you might want to stay clear of OCM for awhile. I don’t get the unclean skin causing more problems comment above. It is a cleanser for a reason, so if my skin is already clean, why do I need to clean it using OCM again? And what are the steps to OCM? I clean my face using my normal cleanser, then apply the oils and rub it in and then use my normal cleanser again? And I’ve read also about steaming. But from the website provided above, isn’t it just wipe it down with a warm towel? Well, under OCM, you are supposed to massage the oil into your skin for 10 mins or longer then rinse off using steaming warm water. Then you don’t use anything else like foaming cleanser after that. You may moisturize as per normal if you like. However, I found out that it’s not good to massage oil over a dirty face, or a face full of makeup as we could be massaging the impurities back into our skin. Bear in mind that usually if we’re doing this during showering, the pores open up and chances of impurities going into the skin is higher. Hence, if you want to try OCM, don’t massage oil over a dirty face. I suggest, cleansing off the dirt once before starting OCM. I’m not really keen on OCM due to the steaming warm water. It’s too drying and I don’t think it’s a good idea to open up our pores so frequently, I guess once in a while is good. A lot of girls reported good results, but some gave the same comments as you – it seems the OCM just aggravate their skin condition. It could be the oil…not too sure. 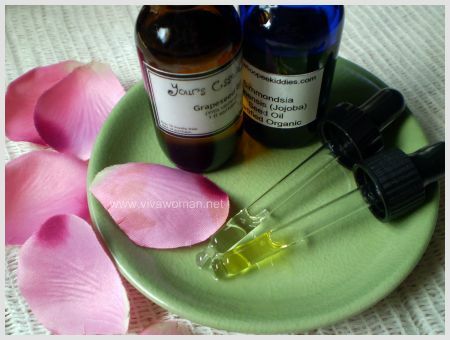 I’m just starting the OCM today and was wondering if you have any experience with using rose hip oil? A girl I spoke with at the health food store was saying that rose hip oils were helping her skin renew itself. I’ve been doing the OCM 2 times a week for almost a year, and it’s really improved my skin’s tone and texture. I’m 34 and didn’t have many problems to begin with, but was beginning to notice that my pores were becoming more visible, along with the occasional hormonal pimple. I use a blend of castor oil and sweet almond oil, and massage it into my face and neck at night while watching TV for 15 minutes, maybe even longer. I use a lot more oil than suggested above (2-3 tablespoons), and add a drop or two of tea tree oil if I’m breaking out. I also worried about the roughness of a washcloth, so use a face shammy. I pat a drop of the sweet almond oil into my face with my hands after I’ve dried off, and that’s my moisturizer for the night! Great that OCM worked for you. I love using oil on my face as moisturizer too. hi! i’ve just started my OCM today. I was wondering, if it’s ok to massage my face with ful make-up still on? I mean, just like using normal makeup remover. Then steam with wash cloth, and rinse with some mild cleanser? Or is it better, after massaging the oil with full makeup, just wipe it of, and wash with cleanser in warm water? Nope. Please don’t massage when you have your makeup. You need to cleanse off your makeup before massage. Otherwise, you’re just massaging the impurities and dirt back into your skin. I’m really interested in trying OCM to get my skin healthy after all the pounding its taken from topical acne meds. I have combination skin (oily around the T-zone and dry around my cheeks, which is where I break out), but I’ve recently gotten the majority of my acne under control by using sulfur and cutting down cleansing to once a day. I’m wary though, since a lot of people who use it seem to break out after a few weeks or months. Is there anyone who has used it regularly for long periods of time (6 mo-year) experienced consistently positive results? I recently bought castor, grapeseed, and jojoba oil. I’ve read that castor is a necessity to penetrate deep into the pores but I’m also wary that it might be what’s causing people to break out after a while since it’s so drying. Will a combination of grapeseed and jojoba do? I think a previous poster mentioned using just these. And are there any benefits to adding tea tree oil into the mix since its an antiseptic? It really depends on your skin type. You might want to try with one or two oils first and see how your skin react. If you’re worried about drying, I really don’t think you should add tea tree oil. As a whole, using hot water can be drying for the face so you want to just test and see how your skin reacts with this cleansing method. I uses grapeseed oil for cooking. Can it be used on the face as well? If not, anywhere in Singapore that sells this? I have finished up my bottle of jojoba oil a couple months back for cleansing but finds it a bit thick and sticky.. But it sure is good for my skin. Not only cleanse off makeup but also seems to moisturise my eye area etc (no millia seeds formed which amazed me coz I’m so prone to it if uses wrong eye product). Best to use cosmetic grade. You should be able to get it from whoopeekiddies.com. Grapeseed oil is much lighter than jojoba. I personally don’t like jojoba too. instead of using a wash cloth can i use my Clarisonic skin care brush? or do i have to use a wash cloth? The brush probably won’t work well for this oil cleansing method because you need to hot water to remove the oil and that’s why the wash cloth is used. My nose was covered in blackheads for decades, through treatment with Retin-A, Tazorac, salicylic acid, glycolic acid, benzoyl peroxide, scrubs, microdermabrasion, etc. Nothing improved them. The rest of my face APPEARED to be clear with no visibly clogged pores. Though I couldn’t see an oil drying out my oily skin (it did), I didn’t have anything to lose by trying OCM. At first I used grapeseed oil alone. After several minutes, the pores on my cheeks, which had appeared to be clear, were purging so much it felt like I was using a scrub. This went on over two OCM sessions. The pesky nose blackheads didn’t budge. Then I used a small amount of castor oil with the grapeseed oil, my skin stopped purging, and the blackheads got larger. Last I tried jojoba oil alone, and the results were miraculous. On first use, after about ten minutes I was able to just wipe the blackheads off. I had to wipe them off my face and hands periodically so I wouldn’t scratch my face. I went on for a total of twenty minutes, and they never did stop coming out. I only quit for fear of irritating my face. Immediately afterward, most of the nose blackheads were gone, and the pores on the rest of my face were invisible. So jojoba was the magic oil for me. With all the oils, nothing started to purge for at least five minutes. The longer I went, the greater the results. I can’t see getting the best results with anything less than a 10 minute massage. The regimen for my extremely oily skin is this: wash with cleanser, do OCM with only jojoba oil for at least 10-15 minutes, gently wipe with a warm washcloth, wash with mild cleanser again, followed by either Vitamin C, oil-free moisturizer, or prescription topical. I was doing this twice a day until my skin got dry, then began once a day. Again, I’m doing this regimen on EXTREMELY all-over oily skin, NOT combination. Long story short, the “extravagant” claims about OCM turned out to be true for me. It’s essential to keep trying oils until you land the right one, and to massage long enough to thoroughly cleanse. And you don’t necessarily need a combination of oils for success. I feel very lucky to have somehow stumbled upon this technique on the Web. Wow, your experience sounds interesting. I’m glad that jojoba oil helped you purged your blackheads. I guess it’s good to cut down on the amount of time spent on OCM once your skin clears up in case of over drying like what you’ve experienced. I just use cotton balls to remove the makeup and dirt with Grapeseed oil. I keep gently wiping my face until the cotton no longer shows any signs of dirt, makeup, or oil, and then rinse and massage with warm-hot water and pat dry with a towel. Never have used a washcloth. Cotton balls are definitely more gentle on the skin. The washcloth is quite common for oil cleansing method and it’s necessary because of the hot water to place on the face. My aunt has been using this treatment for a years now.. And it really works for her acne.. Thanks for this info!